When packing up toys is as quick and as easy as pulling a drawstring, you’d be crazy not to want a piece of this play mat action – and now, a waterproof version is available! For play at home or by the water edge, you’re going to want to have a Play Pouch in your arsenal. 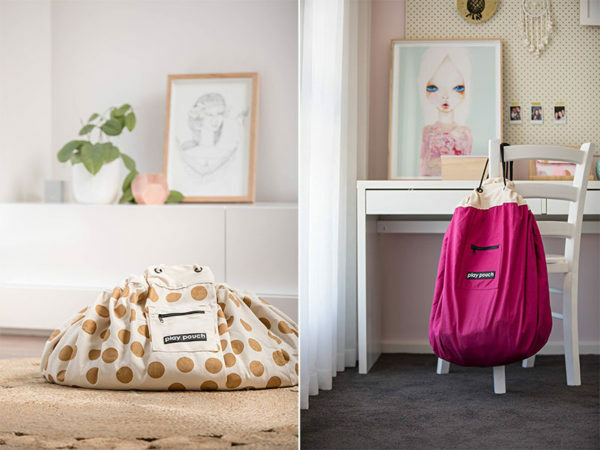 Pouch Australia is providing parents with contemporary, funky canvas play mat and storage options with the Play Pouch. From Stuffed animals to Lego and Shopkins – this is one brilliant way to both play and contain. The bonus, it’s so easy to pick up the toys even the kids can do it without fuss! The waterproof Aqua Pouch (pictured above and top) recently joined the Play Pouch line up. Priced at $90, it doubles as a handy mat to sit on and there’s no denying its awesomeness for making packing up a cinch while juggling wet kids on the hip. A super handy shoulder strap makes it a breeze to carry your haul across the car park. Visiting a friend or heading to the park? Pack a Mini Pouch with the kids favourite toys to enjoy while out and about. Available in several gorgeous colours, they’re priced $45 each. Spots always lure me in and I adore the Glitter Gold Dot Play Pouch, $70, from the Printed Play Pouch range. 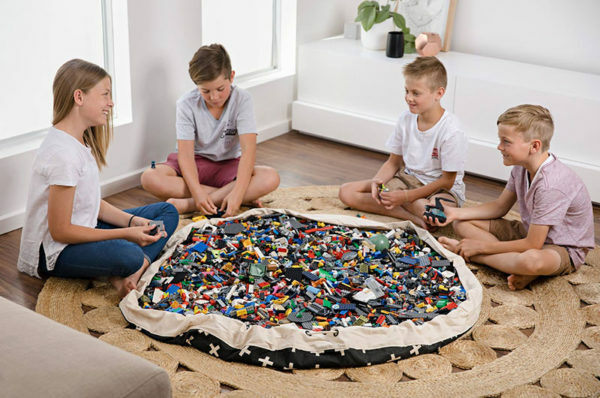 Opening up to a generous 145 centimetre diameter, there’s plenty of space for everyone to play. For those who might be after a colourful full sized option, be sure to check out the Original Play Pouch, $60. Set your sights on easy pack and store? 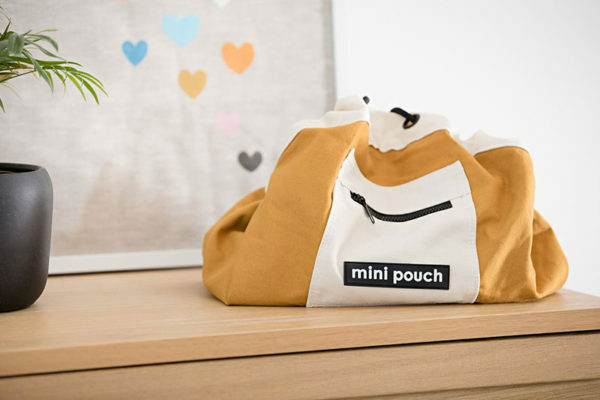 Run on over to Pouch Australia to order!